Feel the exhilarating tingle of fresh air and rushing water as you journey into the Cascade Mountains along the McKenzie River. Revel in the solitude among sun-soaked old growth forests, then find camaraderie in the half dozen riverside communities. Feel the thundering spray from massive falls along a waterfall trail loop. Identify over a dozen snow-capped mountain peaks presiding over a gleaming obsidian landscape. Watch chainsaw-wielding artists transform stumps into intricate sculptures. Shoot the crystal clear rapids of the McKenzie River. Pedal up and over McKenzie Pass between melting snow drifts. Soak in a hot spring-fed swimming pool above the McKenzie River. Wade in waist deep to fly fish along gentle river stretches. 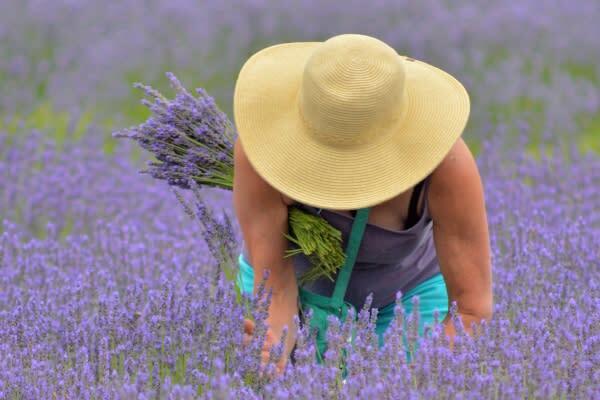 Infuse your afternoon with the scent of fresh cut, dried and growing lavender from nearby fields. 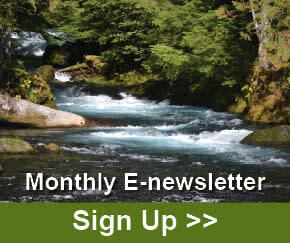 Another great thing about the McKenzie River are the numerous yet secluded riverfront lodges, cabins and campgrounds. Most of the lodging is snug along waterways or tucked up into woodsy acreage. Reserve a collection of cabins for a large group reunion or sneak away from the gang to a cozy B&B. From glamping to roughing it, there are plenty of places to stay. 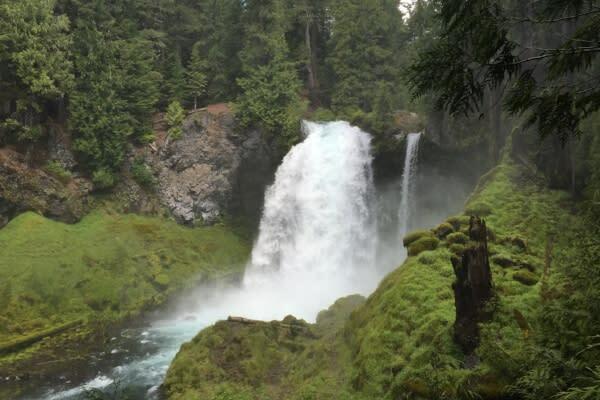 Hike or bike this stunning riverside trail 26 miles (43 km) along the McKenzie River. Golf in an amazing mountain setting. Better yet, ride GolfBoards! A hot spring-fed swimming pool, lush gardens and lodging make this a riverfront destination. 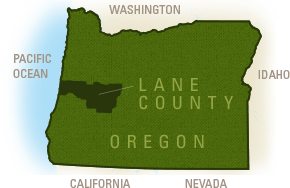 A picturesque and historic gem spanning the McKenzie River and easily sighted from Highway 126. Prepare to be dazzled by brilliant hues of the crystal clear water. This gushing waterfall is a spectacular side stop.